Blackrock Park is a pleasant green area overlooking Dublin Bay, in Blackrock County Dublin, and boasts a well equipped children's playground, cycle path and trees. There is also a picturesque pond containing a small island, and swans can regularly been seen there. The Peace Fountain in the pond was constructed in 1986 to mark International Year for Peace. From Dublin follow the R118 to Rock Road. The Park is on the left before Frascati Shopping Centre. From Bray follow N11. Turn right onto Newtown Park Avenue R113. Turn left onto Temple Hill. Continue onto N31 Frascati Road. Blackrock Park is on the right after Frascati Shopping Centre. 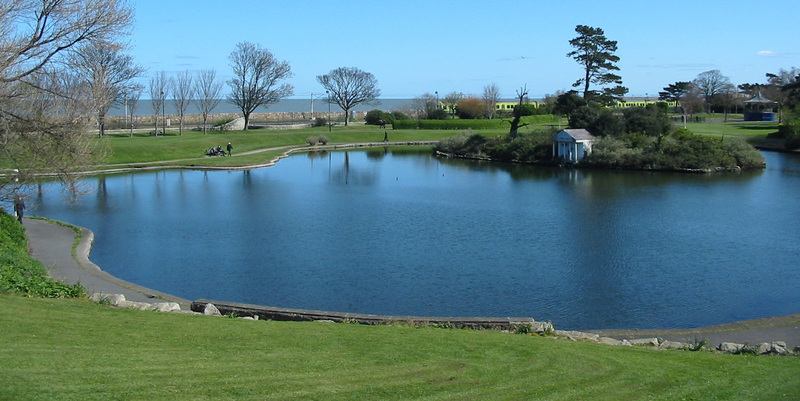 Pedestrian entrance to the park is located at the walkway beside Blackrock Dart Station.